We’ve sprung forward, now it is time to get out our spring clothes and put our winter ones away. 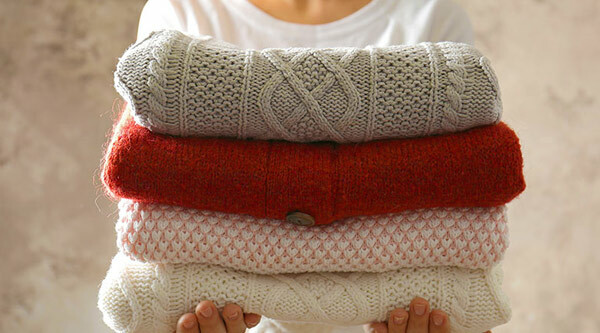 Here are 3 tips on storing sweaters safely. If the tag says Dry Clean Only, you’ll want to do just that. But you might have some fabulous thrift finds that don’t have clear care instructions. Wool usually wants dry cleaning, too, but you can safely hand wash many wool sweaters with Eucalan Fine Fabric Wash. Eucalan has lanolin in it so you do not want to rinse it out and your sweaters will come out super soft. Sweaters made of Silk, rayon, cotton and anything that’s embellished (sequins, beads, etc) will also benefit from cleaning with Eucalan. Lined sweaters and sweaters made out of velvet, viscose, acetate need to be dry cleaned. If it’s a blend, always err to the highest percentage of fiber that the item contains. 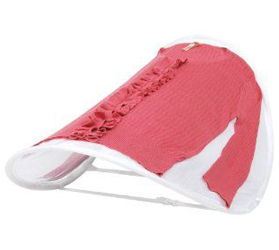 Cotton is generally the easiest fabric to be cared for and can be machine washed and dried. Though if you have something that seems delicate or hasn’t been preshrunk, we recommend machine washing on delicate or a hand wash setting and drying flat. Better safe than sad about losing your favorite sweater! One step we don’t take chances with is drying. Always skip the machine and dry flat to avoid shrinkage and puckering! Do not ring out your sweaters. Roll them in a towel to remove excess water and lay flat to dry. 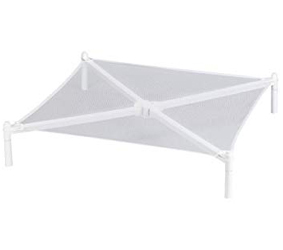 Drying racks are perfect for optimal flat drying! Now that everything is clean, it needs to get put away. You want to keep everything in an airtight container to preserve that fresh clean. 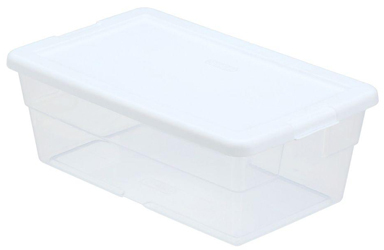 We love Sterilite Storage Boxes; they’re clear so that you can identify their contents at a glance, and snap securely shut, keeping out moisture, bugs and soot. To keep clothing fresh while avoiding smelling like you raided grandma’s closet, throw in some Moth-Tek Moth Ball Packets. They’re lavender scented and will repel those munchy little moths, but won’t leave any lingering scent. Tagged Musty Sweaters, storing sweaters, sweater storage. Bookmark the permalink.